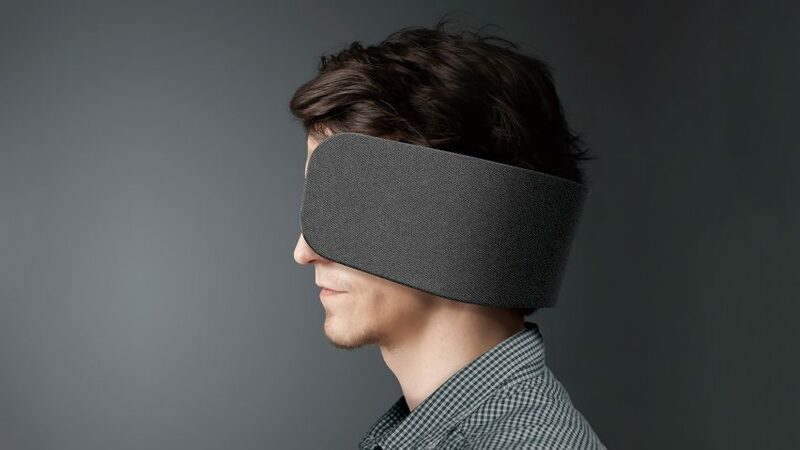 This partition is fixed around the wearer's head by a pair of noise-cancelling headphones fitted to the inside of the curved body. These are used to block out ambient sounds, and feature three levels of noise cancellation depending on the environment. Wireless and bluetooth connected, the device can be connected to a smartphone or PC to listen to a chosen sound or music.